oh my goodness i can't wait to see a lilly'ed out room!!! it's going to be GORGEOUS!! I really love the idea of monograms versus the whole name. You can play with size and style. My hubby's super crafty with his skill saw though so that would be easily accomplished for me. LOVE everything else!! I like that you're using green for a girl's room. Oh I LOVE it! 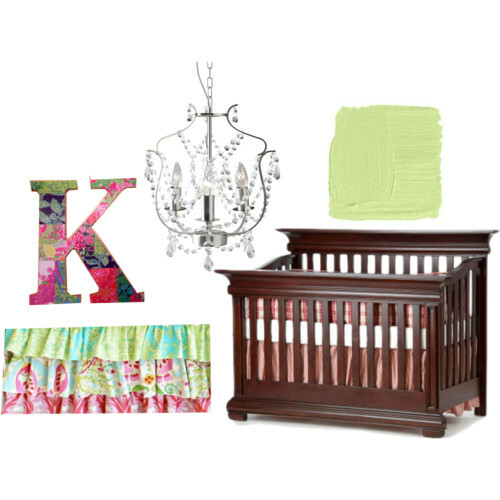 I picked out the same chandelier at ikea too if we have a baby girl! And the Lilly quilt- OMG!! Baby girl's room is going to be precious!